Corresponding author at: Centre for Biological Diversity, School of Biology, University of St Andrews, St Andrews KY16 9TH, Scotland, United Kingdom. Disturbances – temporally discrete events that disrupt the structure of an ecosystem by altering conditions and resource availability – have a major influence on ecological patterns (Sousa, 1984). The ecological consequences of a disturbance will depend on the balance between its magnitude and the sensitivity of the species involved. For gradual and cumulative disturbances, such as habitat loss, climate change, pollution and overexploitation, species are expected to show different vulnerability levels to these impacts. That is, extinction is not random regarding species’ ecological features so that the presence of certain traits makes some species more prone to extinction than others (Olden et al., 2008; Purvis et al., 2000). However, for abrupt, massive disturbances, species loss may be random, because the animals cannot adapt to sudden, unpredictable impacts. The mass extinctions are examples of such non-selective extinctions (Heard and Mooers, 2002; Jablonski, 2005). The main differences between historical catastrophes that led to mass extinctions and local disasters are their extent, but in both cases there is potential to cause non-selective extinctions. Either way, the different facets of biodiversity (taxonomic, functional, genetic and phylogenetic) (Pool et al., 2014) are likely to be affected, and the impact of disturbance may be reflected across a range of spatial scales, including local (within-community; α), among community diversity (β-diversity), and regional (γ) diversity (Collins et al., 2000; Melo et al., 2011). Many studies have asked how disturbance alters local taxonomic α-diversity (e.g. species richness) (Magurran and McGill, 2011; McKinney and Lockwood, 1999; Reis et al., 2016). However, the question of how abrupt disturbance alters the compositional similarity (taxonomic β-diversity) at larger spatial scales, and the consequences of such shifts for functional β-diversity, remains less explored. Changes in β-diversity arise as a result of two processes – species replacement (turnover) and differences in local richness (nestedness) (Baselga, 2010). These processes also underpin shifts in functional β-diversity, or the replacement (turnover) and loss (nestedness) of functional traits contributed by species in neighbouring communities. Taxonomic β-diversity can increase in response to disturbance through (i) the loss of shared species from two or more communities, resulting in more diverse communities, an outcome known as subtractive heterogenization; or (ii) by the addition of species in only one community in a pairwise comparison, an outcome known as additive heterogenization (Socolar et al., 2016). Alternatively, disturbance can cause a decrease in taxonomic β-diversity if there is a loss of (iii) rare species from one community, subtractive homogenization, and/or (iv) rare species become more widespread, additive homogenization (Socolar et al., 2016). These different patterns of increase or decrease in taxonomic β-diversity will have varying consequences for ecosystem function, depending on the functional roles of the species involved (McGill et al., 2015; Meynard et al., 2011). For instance, extinction (i.e., subtractive) scenarios, imply reduced functional redundancy or reduced overall function (subtractive heterogenization), whereas subtractive homogenization can lead to a loss of ecosystem function that was exclusive to one of the communities (Villéger et al., 2010). Empirical evidence shows that the loss of functional dissimilarity typically exceeds the loss of taxonomic dissimilarity, with assemblages becoming functionally similar to one another (Villéger et al., 2014). The primary approach to quantifying shifts in regional taxonomic and functional β-diversity is to examine species composition in the constituent assemblages before and after the disturbance. However, this exercise requires extensive and comparable information on species composition pre- and post-disturbance, which may be unavailable within the reasonable timeframe. An alternative approach is to draw on existing information about the species composition of the regional assemblages, and then simulate the impact of the disturbance, assuming different scenarios of change. An emblematic case of local, destructive disturbance was the Bento Gonçalves dam burst, known as the ‘Mariana disaster’, that occurred in November 2015, in the Doce River Basin, Minas Gerais, southeastern Brazil (Fig. 1). This environmental catastrophe released c.50 billion litres of heavy metal-rich waste into the Doce Basin. Villages were destroyed and the river ecosystem downstream collapsed (Escobar, 2015; Fernandes et al., 2016). It seems likely that the disaster resulted in the local extinctions of many riverine species, such as fishes. As such, it provides a case study for investigating the consequences of abrupt changes in regional taxonomic and functional β-diversity in relation to the regional species pool. Seven hydrographic basins used in this study showing the Doce River (blue line) and its neighbour basins. BA ES coast: this basin comprises part of the coast from Bahia (BA) and Espírito Santo coasts. ES coast: Espírito Santo coast. The blue map shows the variations in species richness and the green map shows the variations in functional richness. The Pfafstetter drainage basin classification has been broadly used to classify freshwater environments for research and management purposes, e.g. 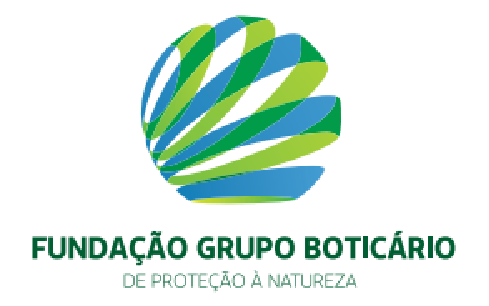 “Agência Nacional das Águas – ANA” in Brazil (National Agency of Waters) and by the International Union for Conservation of Nature – IUCN (ANA, 2017; IUCN, 2016). In this study, we use a stochastic simulation to evaluate how the components of regional taxonomic and functional β-diversity (turnover and nestedness), and functional richness of freshwater primary ray-finned fishes (Actinopterygii fishes restricted to freshwater environments) may have changed in response to the ‘Mariana disaster’. We consider different scenarios of species loss. Primary freshwater fishes are defined as those intolerant to a salinity level above 0.5 grams per litre of water (Myers, 1949), and as such, they are highly sensitive to environmental changes of that magnitude. Therefore, because of the extent, pervasiveness and lethality of the ‘Mariana disaster’, we consider that it may have caused non-selective extinctions of fishes, different from continuous impacts that are more likely to be biased towards some specific traits of species. We used the Otto Pfafstetter basins classification (Verdin and Verdin, 1999) to delimit the Doce Basin and the six neighbouring basins (Jequitinhonha, Bahia-BA and Espírito Santo-ES Coast, High São Francisco, Grande, Southern Paraiba and Espírito Santo-ES Coast, Fig. 1). The Pfafstetter drainage basin system has been used to classify freshwater environments for research and management purposes, e.g. IUCN (Lehner and Grill, 2013). The composition of species for each basin (assemblages) was compiled from georeferenced occurrence data of primary ray-finned fish species from articles, books, check-lists (Appendix S1) and data available in an online database (https://www.splink.org.br/) (Appendix S2). Then we used the life history data for all species compiled available in FishBase (Froese and Pauly, 2018). These data were chosen according to their biological/ecological relevance and availability. To describe the functional space of the species involved, we used the functional traits available in FishBase (Froese and Pauly, 2018) that are relevant for several ecosystem processes, including energy flow, nutrient cycling, and food web structure. We selected five continuous traits: (1) maximum standard length (cm), (2) rate of food consumption “Q” per unit of biomass “B” (Q/B) (Pauly, 1986), (3) length of first maturity (cm), (4) length–weight relationship ‘b’ parameter (weight=a*length^b, which describes the way a fish grows in terms of its ‘condition’, or ‘well-being’ (Froese, 2006) and (5) trophic level – which expresses the species position in their food webs (estimated considering the food composition and food items consumed (Froese and Pauly, 2018). We also include two categorical traits: (6) position in the water column and (7) whether species show parental care or not. These functional traits were selected based on their biological and ecological relevance, as well as their availability. Traits were available for most, but not all species. In order to fill data gaps, we performed an imputation method in the functional matrix, based on random forest algorithms (Pantanowitz and Marwala, 2009). This approach predicts missing values using other variables through an iteratively trained random forest. The accuracy of this method has been proven to be more effective when up to 30% of data is missing (Penone et al., 2014). For this reason, we only selected functional traits that had less than 30% of missing data. Our analysis used the R package missForest (Stekhoven and Bühlmann, 2012). We first built an incidence matrix based on the species present in each of seven basins. To calculate total dissimilarity (among all basins) we used the Sørensen Index βsor (Fig. 2), which varies from 0 (two communities with the same pool of species) to 1 (two communities with a totally dissimilar pool of species). Following the method proposed by Baselga and Orme (2012), we partitioned this total dissimilarity (using pairwise comparisons among all basins) into the contribution of the turnover and nestedness components of taxonomic β-diversity. The components of the Sørensen Index are βsor=βsim (the turnover component of Sørensen dissimilarity is the Simpson Index)+βsne (the nestedness component of Sørensen) (Fig. 2). Estimates of taxonomic β-diversity were performed in R (R Core Team, 2017), using the package betapart (Baselga and Orme, 2012). Total dissimilarities comparisons between the five scenarios. The density axis was calculated using a resemble function beta.sample (Baselga and Orme, 2012) of dissimilarities for a subset of sites in the original data frame for all scenarios. Before the disaster (green lines) and with 25% (blue lines), 50% (purple lines), 75% (brown lines) and 100% (red lines) of extinctions rates. A: βsne – nestedness (dot lines: nestedness component of Sørensen dissimilarity). B: βsim – Simpson dissimilarity (dash–dot lines: turnover component of Sørensen dissimilarity). C: βsor – Sørensen dissimilarity (solid lines: total β-div). To assess the shifts in functional richness and functional β-diversity, we used the community incidence matrix across all seven basins and the functional coordinates matrix, composed by the eigenvectors derived from a principal coordinate analyses – PCoA based on Gower's distance with equal weights (respecting categorical and continuous traits) (Villéger et al., 2008). We measured the quality of the functional space of our analysis, i.e. the best number of coordinate axes, using the method proposed by Maire et al. (2015), based on the mean square deviation (mSD) of the Euclidean distance – in which lower mSD represents higher quality in functional space. For both taxonomic and functional β-diversity, we generated four different scenarios of species loss (see below), varying from no extinctions (prior to the disturbance), and 25, 50, 75 and 100% of species becoming extinct in the Doce Basin. For each extinction scenario (except for 100%), we allowed the proportions of extinction to be randomly simulated using a Monte Carlo procedure (100-runs). We performed simulations of stochastic extinctions by assuming that the magnitude of Mariana‘s disaster was lethal enough to be non-selective regarding species traits, similar to a local mass-extinction event. In fact, primary ray-finned fishes are intolerant to salinity changes in water (Albert and Reis, 2011), as well as to the resulting concentration of heavy metals into the system and depletion of oxygen following the decomposition of organic matter in the water (Escobar, 2015; Fernandes et al., 2016). To estimate the taxonomic β-diversity and its components, we calculated the resulting patterns for each run of the four extinction scenarios and averaged them across all randomizations within scenarios. We tested differences among scenarios (i.e., treatments) with an analysis of variance (ANOVA), using simulation as samples and α=5%. For functional β-diversity, in a random simulation procedure (100 runs as before), we computed the possible changes in functional β-diversity: (i) using the quality of functional space (mSD), (ii) the resulting coordinate matrix (keeping three PCoA axes), and then (iii) the respective functional β-diversity components (nestedness, turnover and total beta diversity). Two functions developed by Villéger et al. (2013) were included in this procedure. The first of these is quality_funct_space – a function that calculates the optimal number of PCoA axes needed to describe the multidimensional functional space (measured by the mSD from the PCoA distances) (Maire et al., 2015). The second function was multidimFbetaD, a metric used to disentangle the turnover and nestedness components of functional β-diversity. For each scenario, we calculated the shifts in functional richness and β-diversity by evaluating changes in the volume of multidimensional space occupied by the species from Doce Basin, following the methods of Mouillot et al. (2013) and Villéger et al. (2014). In addition to those scenarios, we measured functional richness excluding the species that are endemic to the Doce Basin. This procedure aimed to estimate the contribution of endemic species towards the total functional richness. Regional species richness (i.e. gamma diversity, γ-div, taking all 7 basins into account), prior to the disaster was 546 primary ray-finned fish species. The Grande Basin had the highest richness (292 species), followed by High São Francisco (166), Southern Paraíba (156), Doce (139), Espírito Santo coast (107), Jequitinhonha (92) and Bahia-Espírito Santo coast (84) (Fig. 1). Doce Basin had 15 exclusive species and 57 species shared with either two or three basins. The remaining 67 species were shared with more than three basins (Fig. S1). Total (regional) taxonomic β-diversity (Sørensen Index) before the disaster was 0.75. In a scenario of total extinction in the Doce Basin, this value would increase it to 0.81 (Fig. 2, βsor). In other words, the removal of species from the Doce Basin would increase dissimilarity within the region as a whole. However, the contribution of turnover to this overall taxonomic β-diversity would reduce from 87% (before the disaster) to 81% (total extinction) (Fig. 2, βsim), whereas the contribution of the nestedness component would increase from 13% to 19% (Fig. 2, βsne) between a zero- to a total-extinction scenario, respectively. As such, the predicted increase in β-diversity following these extinction scenarios could be mainly attributed to the increase of the nestedness component (Fig. 3A). We also found that the patterns of taxonomic β-diversity would have shifted relative to the pre-disaster baseline regardless of the extinction level (Fig. 3C; p-values<0.05). The ANOVA showed significant differences for nestedness (F(4, 495)=3048, p<2e-16), turnover (F(4, 495)=232.8, p<2e-16) and total beta (F(4, 495)=3048, p<2e-16). Comparisons among extinction scenarios in the three components of taxonomic β-div: (A) nestedness, (B) turnover, and (C) total β-div. Scenarios are represented by 0, 25, 50, 75 and 100% of extinction rates. The “y” axis represents the dissimilarity variation from 0 (communities with the same pool of species) to 1 (communities that does not share species in common). The first three functional coordinates axes used to build the functional trait matrix produced a quality functional space of mSD=0.0027 (lowest mSD) (Fig. S2). Of the seven basins analysed in our simulations, the Grande Basin occupied most of the functional volume space before the disaster, with a convex hull volume of 91%, followed by Doce (69%, see Fig. S3 A), São Francisco Alto (67%), Paraíba do Sul (65%), Litoral BA ES (56%), Jequitinhonha (55%), and Litoral ES (55%). At the three intermediate levels of extinctions, 25%, 50% and 75%, the functional richness from the Doce Basin, our simulations predicted an average reduction of 55%, 52%, and 36% respectively, relative to previous level (Fig. S3 B–D). When the extinction scenario involved species exclusive from the Doce Basin, its functional richness decreased to 66% (Fig. S3 E). As the extinction scenarios became more severe, the predicted contribution of nestedness to total functional β-diversity increased from 67% to 81% (Fig. 4A), whereas the contribution of turnover to total functional β-diversity was predicted to decrease from 33% to 19% (Fig. 4B), and the overall functional β-diversity (Sørensen Index) to increase from 0.328 to 0.453 (Fig. 4C). The ANOVA showed significant differences for nestedness (F(4, 31495)=222.1, p<2e-16), turnover (F(4, 31495)=48.57, p<2e-16) and total beta (F(4, 31495)=213.8, p<2e-16). The exception occurred between the scenarios of 0% and 25% extinction for functional turnover (p=0.752; Fig. 4B). Differences among extinction scenarios in the three components of functional β-diversity: (A) total functional beta diversity, (B) functional nestedness, (C) functional turnover, and (D) proportional contribution of turnover to total functional beta diversity. Scenarios are represented by 0, 25, 50, 75 and 100% of extinction rates. The simulations showed that for functional β-diversity the frequency distribution of the results showed patterns of changes in the frequency density (Fig. 5 – y-axis). For example, values from 0.0 to 0.5 presented (Fig. 5A – total β-diversity) are predicted to decrease, whereas values from 0.6 to 1.0 to increase (Fig. 5A). These results were similar for functional nestedness (Fig. 5B), while for turnover (Fig. 5C) the opposite trend was observed (i.e., increasing at lower density values and decreasing at higher values). Representation of systematic changes in (A) functional nestedness, (B) functional turnover and (C) total Fβ-div. The original values of Fβ-div for the seven basins analysed are represented as black lines, the blue lines are the results for 25% extinction scenario, green lines for 50% scenario, brown lines for 75% and red lines represent 100% of extinctions. The density axis was constructed with the values derived from the simulation results of 100-fold random extinction procedure for all scenarios. Our simulations suggest that under abrupt and stochastic levels of extinction, a process known as subtractive heterogenization – i.e. an increase in β-diversity by the loss of shared species from two or more communities, when many native species become rarer and a few become extinct (Socolar et al., 2016) – could have affected the patterns of taxonomic β-diversity between those seven basins. Meanwhile, for functional beta diversity (functional β-diversity), we predicted a process of functional homogenization, in which the basins would become more functionally similar (Clavel et al., 2011). We found that the existence of exclusive species within each basin is common (57% of all species) and that basins share different proportions of functional diversity. For instance, before the disaster, the Doce Basin was fourth in species richness (n=139), but the second basin in functional richness (69%). This pattern accounts for differences in how species losses affected the amount and direction of both taxonomic and functional diversity through a differential contribution of nestedness (67–81% for the functional diversity) and turnover (87–81% for taxonomic) components. The change in taxonomic dissimilarity that might have resulted from local extinctions is dependent on the level of rarity or commonness of the species present in the communities (Baiser and Lockwood, 2011). For example, the Doce Basin had 31 species that were shared between one other basin (less ubiquitous species, Fig. S1; column 2). Therefore, a removal of these species from the Doce Basin would make them exclusive species in other communities. The predicted increase of the turnover component of taxonomic β-diversity from zero extinction (before the disaster) to 50% of extinction scenario (Fig. 3B) could be explained by the removal of the less ubiquitous species (Fig. S1; columns 2 and 3) that were present in the Doce Basin before the disaster. However, increasing the possibility of losing the more widespread species, e.g. the species that occur in Doce Basin and also occur in 4 or more neighbour basins (Fig. S1; columns 4–7), decreased the turnover, as the gradient of extirpations intensified. Functional diversity aids the understanding of the ecological consequences of environmental disturbances by considering changes in the diversity of biological species traits and their ecosystem function. The lower dissimilarity levels of functional β-diversity (0.33) compared with taxonomic β-diversity (0.75) could be explained by the presence of species with similar combinations of traits and life history strategies (Pool and Olden, 2012). The predicted change in frequency (i.e., density) of functional β-diversity values found for all simulations (decreasing for lower density values and increasing for higher density values, Fig. 5) indicates that pairs of basins that possessed lower values of functional β-diversity before the disaster could have higher values if the disaster actually led to the simulated extinctions. These results suggest that catastrophic disturbances may remove exclusive functional attributes from affected areas, whilst functions that are common in adjacent communities or basins may remain. Therefore, the loss of unique species occupying specific places at the multidimensional functional space from the Doce Basin may disrupt the ecosystem services provided by freshwater systems. We found a greater contribution of functional nestedness (increased by 15%) than taxonomic nestedness (increased by 6%). As functional diversity is a more reliable indicator of ecosystem stability and functioning (Villéger et al., 2014), the predicted increase in the contribution of nestedness to the total taxonomic and functional β-diversity emphasizes the contribution of local diversity (α) to regional diversity (γ). The net result is that if the environment loses rare or ubiquitous species (a shift in taxonomic diversity) functional diversity is impacted. Thus, any extinctions that may have resulted from the Mariana disaster will have permanently affected several aspects of biodiversity at a regional scale. Taxonomic and functional changes of fish faunas over time are highly dynamic, due to both natural and anthropogenic processes (Pool and Olden, 2012). Freshwater systems, such as in Brazil and many other regions worldwide, are threatened by biological invasions (Assis et al., 2017), water salinization (Brito and Magalhães, 2017), pollution (Costa and Barletta, 2016), habitat degradation (Dudgeon et al., 2006), fisheries overexploitation (Alho et al., 2015), and climate change (Ficke et al., 2007). Predicting change using multiple facets of biodiversity, as we propose here, may be key to anticipate management measures of these irreplaceable freshwater resources, and to protecting global food security, given that riverine communities are the main source of protein in many developing countries (McIntyre et al., 2016). The particular case of the ‘Mariana disaster’, one of the greatest environmental disasters in the history of Brazil (Escobar, 2015) is typical of this scenario. The disaster had far-reaching environmental, social and economic impact, as entire human populations relied exclusively on those resources for a living (Ramos et al., 2017). Massive and stochastic impacts are thought to cause both random and selective extinctions of species because species do not evolve adaptation to such abrupt events (Heard and Mooers, 2002; Jablonski, 2005). Therefore, in the particular case of a lack of consistent information post-disturbance, our random simulation on fish extinctions following the ‘Mariana disaster’ has the value of pointing to likely consequences of the loss in compositional changes among basins at a geographical scale. In fact, it is unthinkable that the inrush of c.50 billion litres of heavy metal-rich waste in the Doce Basin happened without severe consequences to species’ populations (Escobar, 2015; Fernandes et al., 2016). Fishes are ecological engineers (Helfman et al., 2009) and the primary species are intolerant to salt or brackish water (Albert and Reis, 2011; Myers, 1949). Therefore, all species were likely to have been affected by a disturbance of such magnitude. Selective extinction owing to trait filtering may also be expected, but mainly in continuous, long-term impacts (Olden et al., 2008, 2007). Accordingly, our approach can be applied to different types of anthropogenic impacts, either those which have happened or are due to, and which are either abrupt or gradual. In the latter case, however, the simulation should allow for a non-random extinction, such as by pre-defining different levels of susceptibilities among species based on relevant traits. Clear articulation of the assumptions used in such simulations is essential. Disturbances are analysed mainly at the level of populations (Melo et al., 2011; Ricklefs, 2008), but little is known about how these changes rebound at the level of communities and among communities, as explored here. In this exercise, we address this question by probing an emblematic environmental catastrophe in Brazil, the ‘Mariana disaster’ in the Rio Doce River Basin. Specifically, we asked how random extinctions could have altered the pattern of taxonomic and functional β-diversity of ray-finned fishes. We show that, whichever the level of extinction, the functional diversity losses would surpass taxonomic diversity. We reach these findings through a stochastic simulation approach based solely on pre-impact data available. In this regard, we argue that risk assessments or management strategies could benefit from this sort of analytical approach in order to better understand the likely consequences of different treatments on local and regional patterns of biodiversity and ecosystem functions. We thank the FishBase team from Philippines and the speciesLink Brazilian database for data access. ITS was supported by stipends provided by CAPES (Coordination for the Improvement of Higher Education Personnel, #88881.129579/2016-01) and CNPq (National Council for Scientific and Technological Development). SFG has been supported by CNPq (#303180/2016-1 and #402469/2016-0), CAPES/FAPITEC (#88881.157961/2017-01; #88881.157451/2017-01) and Instituto Serrapilheira (G-1709-18372). AEM and FM acknowledge funding from ERC (ERCAdG BioTIME 250189 and ERCPoC BioCHANGE 727440). ITS, PAM and SFG are members of the National Science and Technology Institute of Ecology, Evolution, and Conservation of Biodiversity – INCT EECBio (CNPq/FAPEG). We also thank two anonymous reviewers who provided insightful suggestions to the improvement of this paper. Historical Biogeography of Neotropical Freshwater Fishes. C.J.R. Alho, R.E. Reis, P.P.U. Aquino. Amazonian freshwater habitats experiencing environmental and socioeconomic threats affecting subsistence fisheries. D.A.S. Assis de, V.A. Dias-Filho, A.L.B. Magalhães, M.F.G. Brito. Establishment of the non-native fish Metynnis lippincottianus (Cope 1870) (Characiformes: Serrasalmidae) in lower São Francisco River, northeastern Brazil. The relationship between functional and taxonomic homogenization. Partitioning the turnover and nestedness components of beta diversity. Betapart: an R package for the study of beta diversity. Brazil's development turns river into sea. J. Clavel, R. Julliard, V. Devictor. Worldwide decline of specialist species: toward a global functional homogenization?. S.L. Collins, F. Micheli, L. Hartt. A method to determine rates and patterns of variability in ecological communities. Special challenges in the conservation of fishes and aquatic environments of South America. D. Dudgeon, A.H. Arthington, M.O. Gessner, Z.-I. Kawabata, D.J. Knowler, C. Lévêque, R.J. Naiman, A.-H. Prieur-Richard, D. Soto, M.L.J. Stiassny, C. Sullivan. Mud tsunami wreaks ecological havoc in Brazil. A. Ficke, C. Myrick, L. Hansen. Potential impacts of global climate change on freshwater fisheries. Cube law, condition factor and weight-length relationships: history, meta-analysis and recommendations. Signatures of random and selective mass extinctions in phylogenetic tree balance. G. Helfman, B.B. Collette, D.E. Facey, B.W. Bowen. The Diversity of Fishes: Biology, Evolution, and Ecology. Global river hydrography and network routing: baseline data and new approaches to study the world's large river systems. Biological Diversity: Frontiers in Measurement and Assessment. E. Maire, G. Grenouillet, S. Brosse, S. Villéger. How many dimensions are needed to accurately assess functional diversity? A pragmatic approach for assessing the quality of functional spaces. B.J. McGill, M. Dornelas, N.J. Gotelli, A.E. Magurran. P.B. McIntyre, C.A. Reidy Liermann, C. Revenga. Linking freshwater fishery management to global food security and biodiversity conservation. Biotic homogenization: a few winners replacing many losers in the next mass extinction. A.S. Melo, F. Schneck, L.U. Hepp, N.R. Simões, T. Siqueira, L.M. Bini. Focusing on variation: methods and applications of the concept of beta diversity in aquatic ecosystems. C. Meynard, D. Vincent, M. David, T. Wilfried, J. Frédéric, M. Nicolas. Beyond taxonomic diversity patterns: how do α, β and γ components of bird functional and phylogenetic diversity respond to environmental gradients across France?. D. Mouillot, N.A.J. Graham, S. Villéger, N.W.H. Mason, D.R. Bellwood. A functional approach reveals community responses to disturbances. Salt-tolerance of fresh-water fish groups in relation to zoogeographical problems. J.D. Olden, Z.S. Hogan, M.J. Vander Zanden. Small fish, big fish, red fish, blue fish: size-biased extinction risk of the world's freshwater and marine fishes. J.D. Olden, N.L. Poff, K.R. Bestgen. Trait synergisms and the rarity, extirpation, and extinction risk of desert fishes. A simple method for estimating the food consumption of fish populations from growth data and food conversion experiments. C. Penone, A.D. Davidson, K.T. Shoemaker, M. Di Marco, C. Rondinini, T.M. Brooks, B.E. Young, C.H. Graham, G.C. Costa. Imputation of missing data in life-history trait datasets: which approach performs the best?. T.K. Pool, G. Grenouillet, S. Villéger. Species contribute differently to the taxonomic, functional, and phylogenetic alpha and beta diversity of freshwater fish communities. Taxonomic and functional homogenization of an endemic desert fish fauna. A. Purvis, J.L. Gittleman, G. Cowlishaw, G.M. Mace. Predicting extinction risk in declining species. A.A. Ramos, J.F. de Oliveira, M.F. Nardi, M.A. Cunha. O caso de estudo “Samarco”: os impactos ambientais, econômicos e sociais, relativos ao desastre de Mariana. R.E. Reis, J.S. Albert, F. Di Dario, M.M. Mincarone, P. Petry, L.A. Rocha. Disintegration of the ecological community. J.B. Socolar, J.J. Gilroy, W.E. Kunin, D.P. Edwards. How should beta-diversity inform biodiversity conservation? Conservation targets at multiple spatial scales. The role of disturbance in natural communities. Missforest-non-parametric missing value imputation for mixed-type data. A topological system for delineation and codification of the Earth's river basins. S. Villéger, G. Grenouillet, S. Brosse. Functional homogenization exceeds taxonomic homogenization among European fish assemblages. Decomposing functional β-diversity reveals that low functional β-diversity is driven by low functional turnover in European fish assemblages. S. Villéger, H. Mason, D. Mouillot. New multidimensional functional diversity indices for a multifacted framework in functional ecology. S. Villéger, J. Ramos Miranda, D. Flores Hernández, D. Mouillot. Contrasting changes in taxonomic vs. functional diversity of tropical fish communities after habitat degradation.